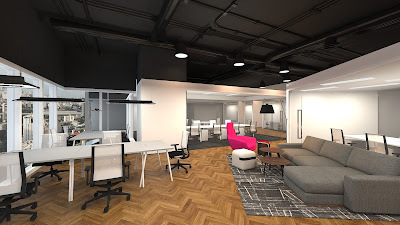 Artist's impression of the new coworking space at Capital Tower, Singapore. 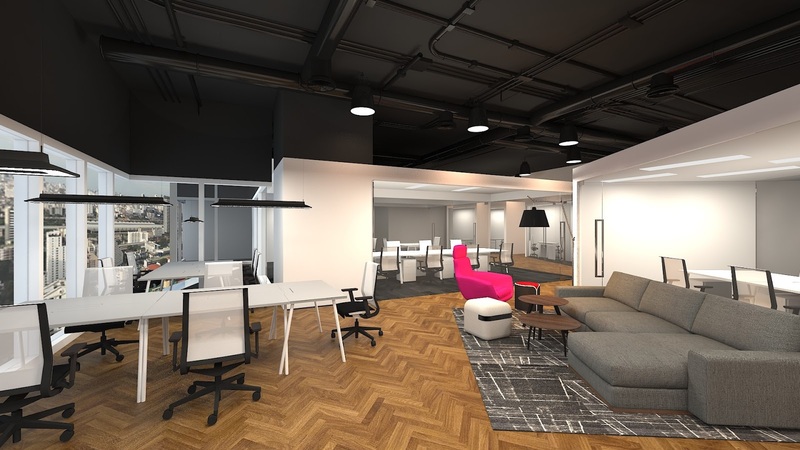 Singapore’s first CBD-based coworking space, Collective Works, has announced a joint venture with Asian property giant CapitaLand. The two companies will launch a coworking space at Level 12 of the 52-storey Capital Tower in Singapore’s business district that can accommodate up to 250 businesses over 22,000 sq ft.
Jonathan O’Byrne, founder of Collective Works, which offers business centre services with the heart and portability of a coworking space, has observed an exponential surge in demand from entrepreneurs seeking more personal business solutions across Asia. “Our partnership galvanises Collective Works’ position as the market leader in premium coworking spaces and will set the pace for our future growth," he said. “Our new space, centrally located in Singapore’s world renowned business district, creates a unique ecosystem for our clients within the prestigious Capital Tower where they can flourish alongside other entrepreneurs as well as global MNCs." The 50:50 joint venture, Collective Works at Capital Tower, has seen strong pre-registration. Designed by expert interior architect, Contrast Design Pte Ltd, the radical office design offers tailored solutions for the diverse profiles of today’s high performance business executives, whether they need a quiet, secure meeting room, a vibrant brainstorm space or the use of an integrated media space. Collective Works has become known for its innovative design aesthetic and ergonomic approach. Technological support includes secure on-site server hosting, videoconferencing, IP telephony and redundant fibreoptic broadband with superior attention to ambience, lighting and acoustic sound profiling to enhance productivity and concentration in the bespoke offices. Request membership to register interest. Collective Works curates a symbiotic community and screens potential residents to ensure that each new company brings a new skill set to the community, not competition. Tenants can start moving in from May, and the official launch is in June.